House Speaker Paul Ryan said on Wednesday that he only trusts Donald Trump on certain issues. During an interview on CNN, host Wolf Blitzer pressed Ryan to answer whether he trusted the presumptive Republican presidential nominee. “It depends on the issue. Some things we don’t agree on, some things we do. 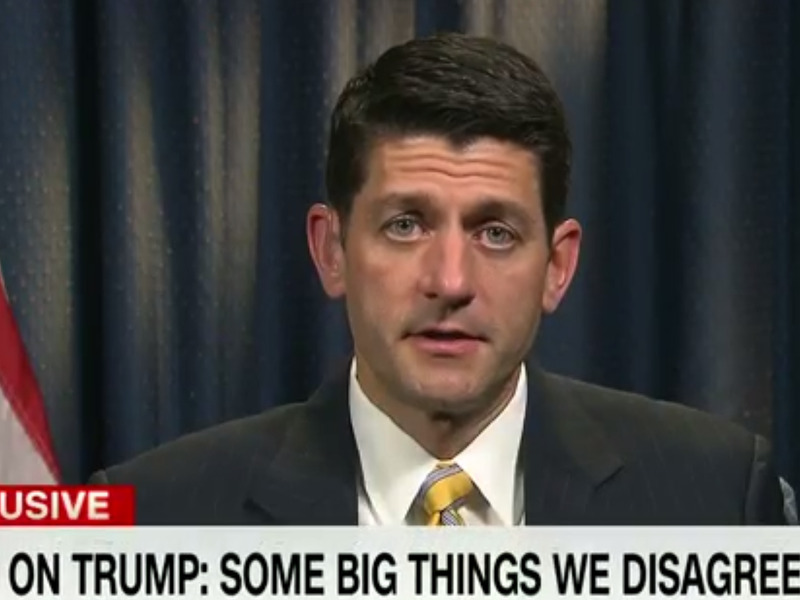 We’re going to have to learn to work together in separate, but equal branches of government,” Ryan said. The speaker acknowledged some policy areas in which he disagreed with Trump, including his plan to bar Muslims from entering the US and his plan to deport less than 11 million immigrants living in the US without permission. But Ryan also noted that House Republicans had a far better chance working with Trump on issues like repealing the Affordable Care Act and replacing it with a conservative healthcare alternative. “We have a binary choice in front of us. A liberal progressive Democrat named Hillary Clinton, and a Republican named Donald Trump. I prefer the Republican. That’s the choice in front of us,” Ryan said. Since becoming the presumptive Republican presidential nominee, Trump’s campaign has occasionally taken shots at Republican speaker.